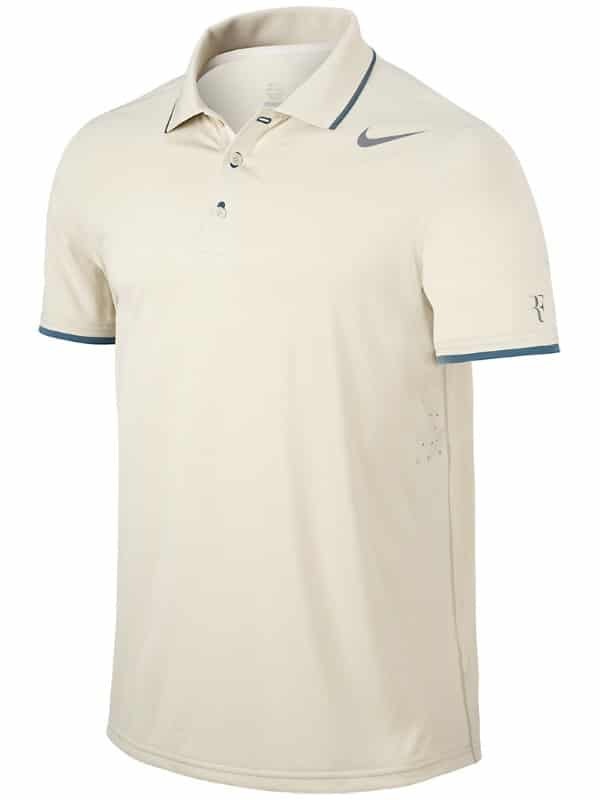 I'm a little late in posting this but here's Federer's outfit for the Australian Open 2014 and also the one he's wearing now in Brisbane. 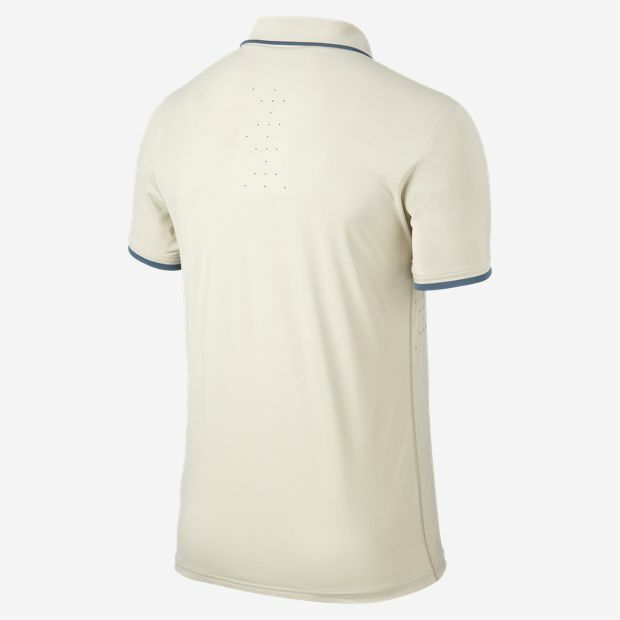 Looks pretty good I think, not a huge fan of the cream type colour of the one he's currently wearing in Brisbane as it reminds me of the One Day Cricket shirt worn by New Zealand in the 1980's but the darker colour is good. As for the shoes I'm not overly keen on but they are ok and the jacket is nice enough. 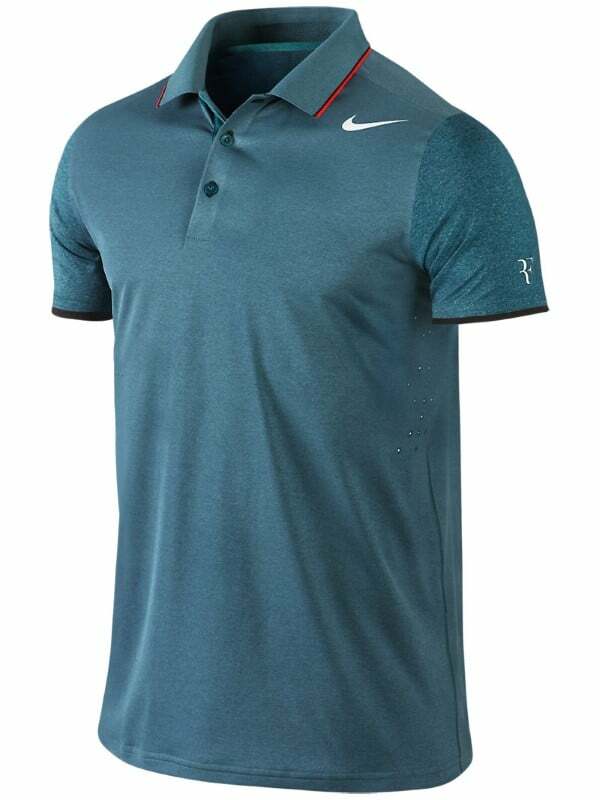 There is also a Birch / Grey Polo I've seen pictured but I'm not sure where that will be worn. No doubt there will be some more shorts and trainers still to come so I will update this post when I find them. What do you guys think? Are Nike back on track after a sub standard 2013? Should they employ Alysha Wintour as Head of Tennis Clothing? Good morning 🙂 Have you been up all night, Jonathan? I think we have the same taste in outfit, Jonathan, not a huge fan of the shoes though welcome the classic polo. Yeah this outfit isn’t the best, but not terrible. I prefer simple ones, just plain. Not gonna complain about the colour cus the good old traditional button-up, plain-colour polos are always classy as it is for Roger! No more zipper polo (and it was pink too!) or crew necks for Roger please… At least not at the SLAMS! Roger looks good whatever he is wearing but I loved the red he wore for RG 2011. Generally, Rog looks his best in colours that stand out. This is a bit low-key for my taste. I think opposite really, he looks best in fairly neutral colours or when it’s just one colour with 1 or 2 accent colours. FO 2011 is just all red with some white, worked perfectly. Hey guys, Roger and Mahut just lost the doubles. Beaten by two guys I think most of us never even heard of…. What kind of a tour lets someone play their second match in less than an hour than their first?? Should there not be atleast 3 or 4 between them?? But kudos to Roger. He may have been tired, but he did not give up or cancel the match… So…. focussing on Roger vs Hewitt…. Nah he will be fine, first week of season, had easy matches, if he’s tired there’s something wrong. The zebra stripes were fine, in fact I thought the whole outfit looked great in Paris and London! The polo has a casual air about it, and the shoes are really fun, so is the jacket, very stylish. 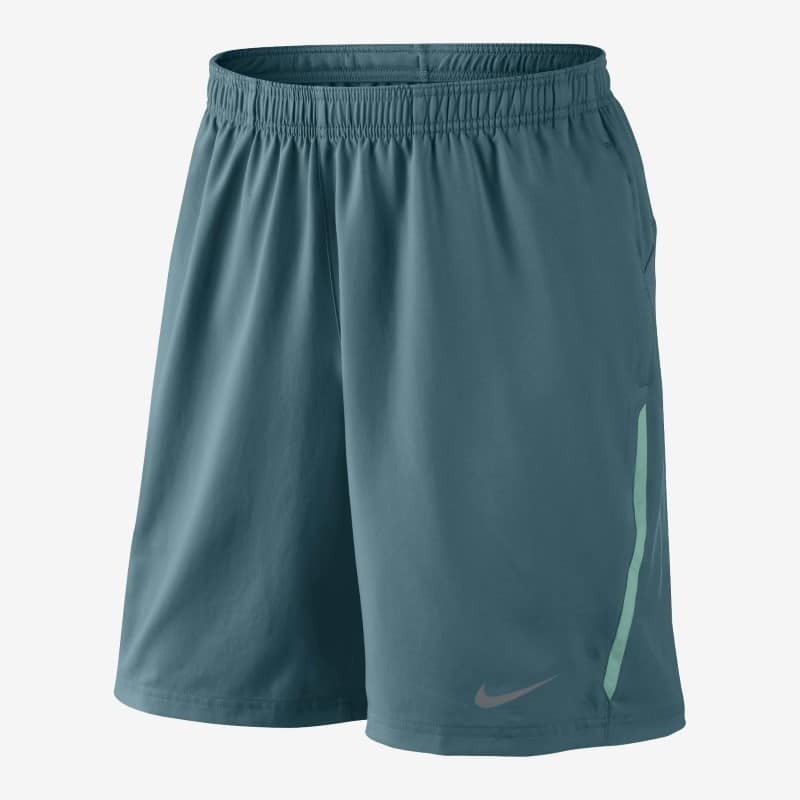 The Brisbane outfit does indeed remind me of Nadal’s Rome outfit last year (similar bandana, shirt colour, shorts…). Hey guess what, I think for the US open he’ll turn back into Darth Vader! I think that’s confirmed already about black for USO? 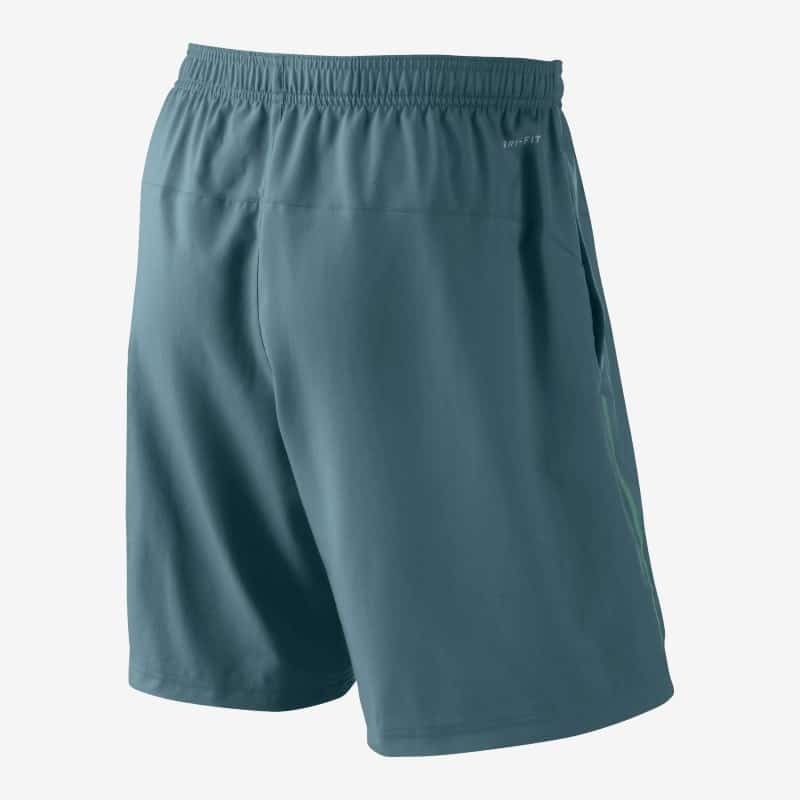 Yeah Tennis Street on Facebook has a few pics of Fed’s outfits for the slams. 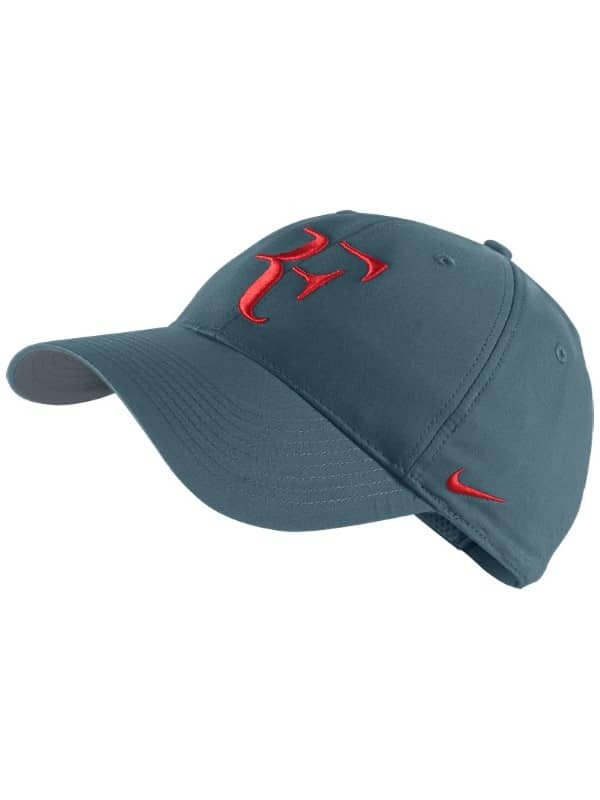 His Roland Garros one is a NON polo! And the sleeves looked too contrasted! I kind of like this outfit actually; I just wish they had picked up the red as the trim color on the polo. 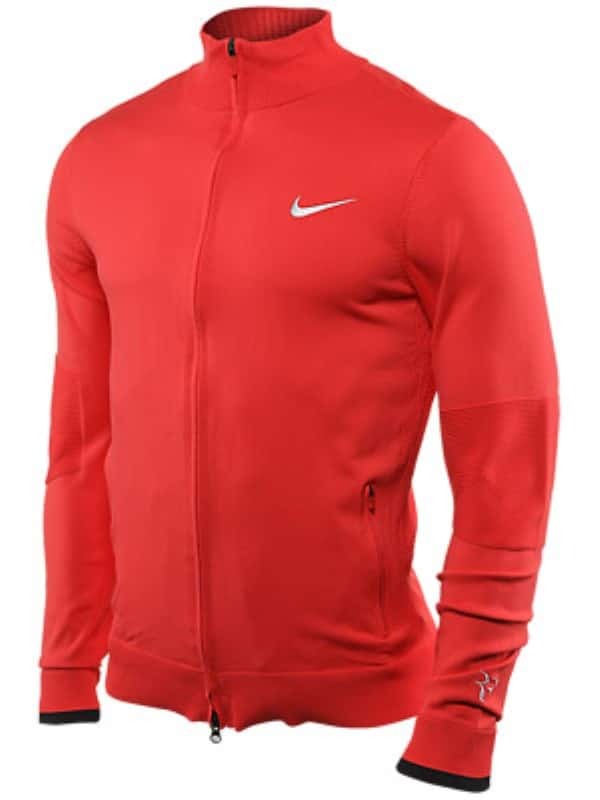 Not for the swoosh, just for the collar & cuff trim. At first I thought the shorts looking like suit pants was just dumb, but it’s grown on me. I still think all of today’s shorts are way too long & floppy, but then I started watching in the 1970s when they were SUPER-short! Well, at least this year it isn’t all pinky and flashy. I’m wondering what he will wear on night sessions, because he always wears something different. 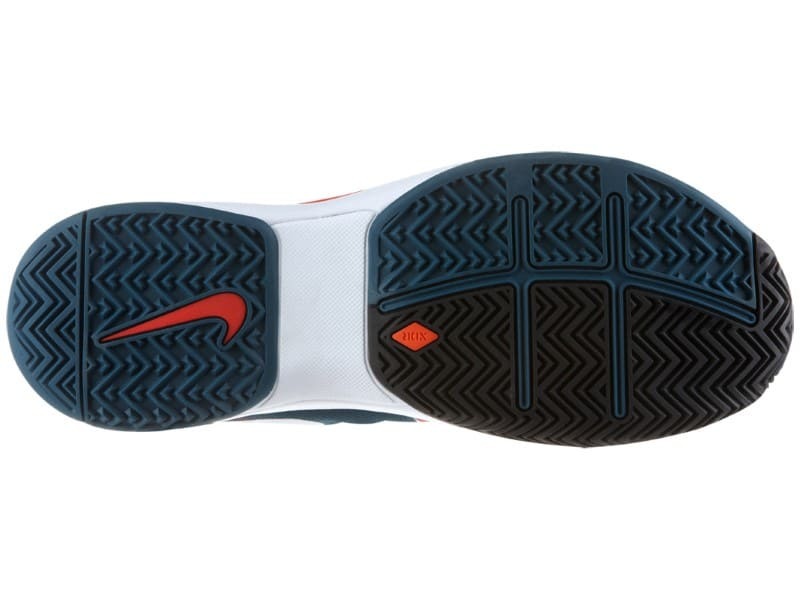 As for the shoes, the vapor zoom 9.5 has a slighty different side. 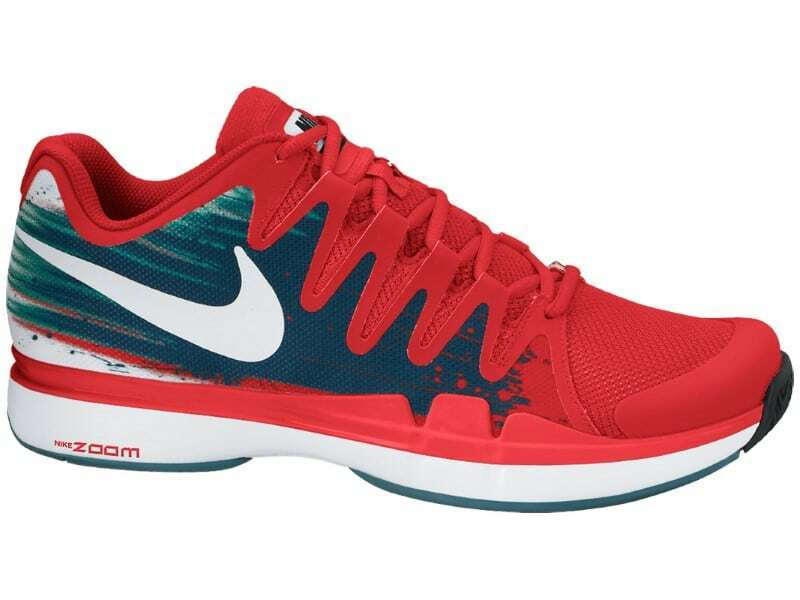 I’m not a big fan of the greeny-thing colour, it reminds me to much of the 2010 french open ones. Overall it looks good, but not as classy as a 2011 or under one. You know if RF in jacket is embroidery or just transfer? I saw online a light blue Polo was in the mix, guess that was scrapped. 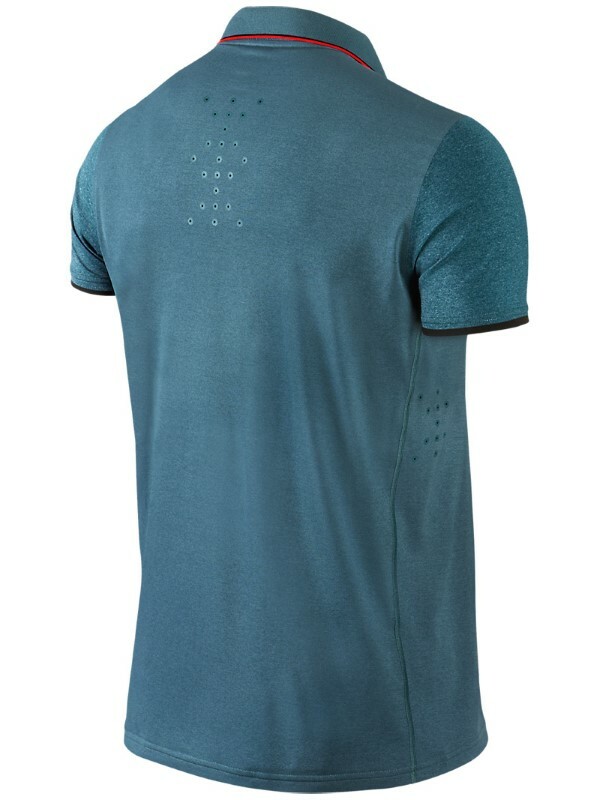 Was hoping his AO outfit would be different to Brisbane because it’s a slam but can’t complain, much better than some of the garbage kits Nike came up with last year. Overall it was ok. The cream color rarely can be pulled off on anyone. Nike should have used white instead, because, of the white on shoes. I liked the polo shirt. So much better than what he wore in Paris and London. No player should wear all black in any match. At the USO in NY in August, the heat with black would be dreadful. I haven’t seen it so hopefully black would be only the trim. I think Roger only pulls Darth Federer at the US Open and also for night matches so the heat is not as extreme as it would be in the day time/New York temperatures don’t reach what it does here in Aus in summer. I’ve heard rumours though that he is going all black again this year in August.